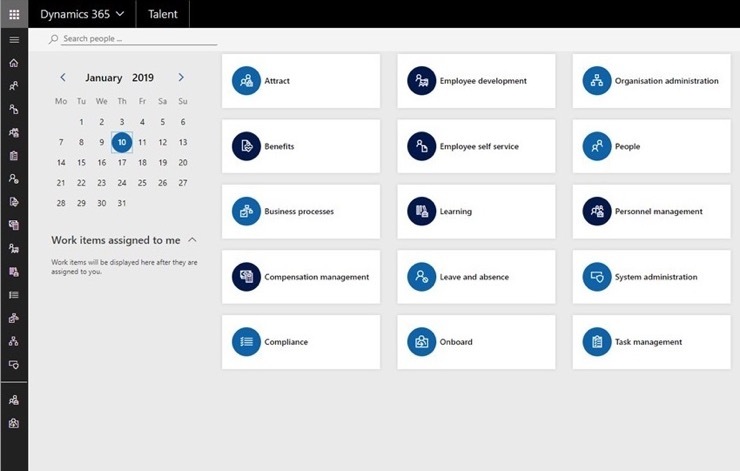 Microsoft Flow is a cloud-based application which enables businesses to automate many business tasks and processes without a software developer. Flow’s main purpose is to automate routines that are used repeatedly during the working day. 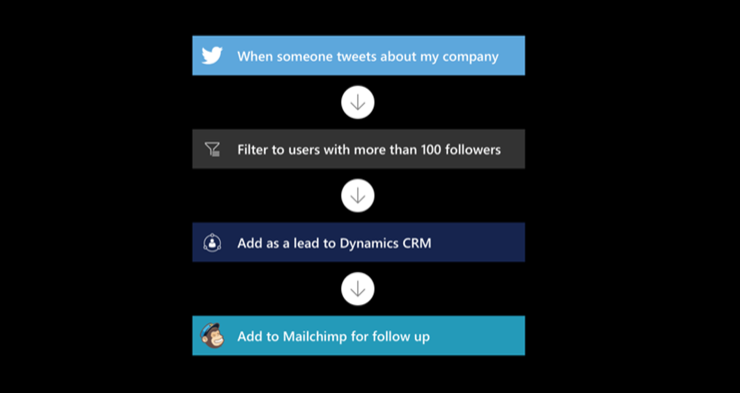 For example, you can create a flow that adds a lead to Microsoft Dynamics 365 and a record in MailChimp whenever someone with more than 100 followers tweets about your company. Microsoft Flow gives you access to over 200 services to connect to and this list is ever growing. One feature that is frequently used is push notifications. An example of this would be, whenever a new lead is created in your CRM system, send a notification with the name of the lead. Flow comes in many licensing flavours, including the best flavour… FREE! All you need to get started is a Microsoft account and you can get access to the free tier for Microsoft Flow. There are, of course, paid tier licensing which grants you more flow runs per month, a higher frequency of flow sessions and connections into on-premise systems. Can I integrate my systems with Microsoft Flow? This is often a question asked about flow and whilst you could use flow to integrate your systems, this is not recommended due to the limitations that flow has and the dependency on the flow being associated to a specific user. Issues that have arisen when using flow for integrations have been when the user has left the business and their account has been deactivated with multiple flows associated with their account. When their account was deactivated, so were the flows and therefore the integrations they had running stopped instantly. Is it difficult to build a flow? 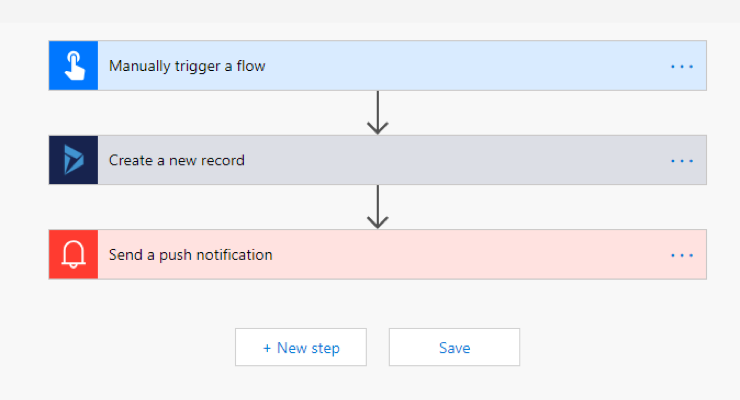 Microsoft Flow uses a visual editor for the flow and displays the steps you have chosen for the flow to take. You can easily insert new steps for the flow, create conditions for the flow to follow a certain path and re-order flow steps by dragging and dropping the flow step. Microsoft has also provided a plethora of templates to get users started with and inspired by Flow as to what can be accomplished. Using a template only requires a few configuration steps to get the flow started.